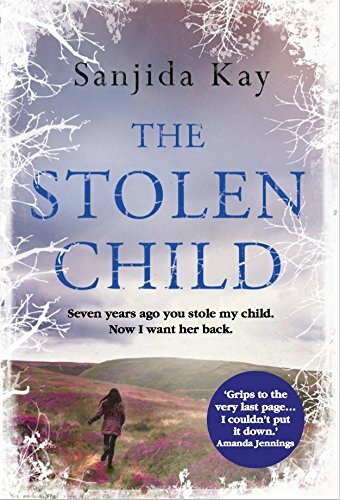 Having read and loved Bone By Bone, I was delighted to receive a copy of The Stolen Child to read and review. The Stolen Child centers on Zoe, Ollie and their family. After having problems trying to conceive, they make the decision to adopt a child. Evie is their long awaited baby, and fast forward a few years, with the added surprise of Ben being born, they have settled into family life in Yorkshire. All is not what it seems though. Evie has started receiving letters and presents, signed from her birth father. This obviously causes her parents to worry and wonder why ,after so long, this is happening now. And what if he does take her? Every parents worst nightmare becomes a constant shadow on their lives. Zoe and Ollie are at their wit’s end wondering what could possibly come from these gifts and letters. The tension and worry they feel comes across really well in the writing, and more than once it made me feel uncomfortable while I was reading. The Stolen Child is part domestic noir, part psychological thriller and it will definitely have the reader questioning the motives of the characters. It is a quietly gripping book that creates a sense of uneasiness that is hard to ignore.